Encryption of cell phones is something most people don’t think about. In the movies, encrypted phones are a way for drug dealers and terrorists to make sure that no one is listening to their phone calls. Many people use encryption these days if they want to protect the data on their phones from criminal elements. Some businesses that have made their money working with the underground have continued to do so. And, now the federal government is cracking down. Recently, authorities arrested the founder of Phantom Secure, an encrypted cell phone company, for modifying encrypted phones. He was allegedly selling them to criminal organizations, including drug cartels, gangs, and illegal gambling operations nationwide. 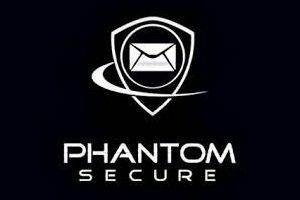 Vincent Ramos is the founder of Phantom Secure. Born in Canada in 1977, Ramos spent his entire life in Canada. He also went to college there. After college, he became a salesman for Amway Products. He was very successful, netting millions of dollars for the company in sales until he went to work for Rogers Cellular. At Rogers Cellular, he became intimately familiar with cell phones and cell phone technology. He worked for the cellular company for two years and then founded Phantom Secure Communications in Vancouver in 2008. Ramos began the company selling encrypted Blackberries so that people could conduct business privately. The company said its products help people to keep their information private. He eventually branched out into encrypted servers and e-mail addresses that were difficult (if not impossible) to trace. If Ramos didn’t know who some of his customers were, he could have continued to do business. The authorities would not have arrested him. However, the FBI and the Royal Canadian Mounted Police have stated that Ramos knew who he worked with — criminal organizations — and didn’t care. They had evidence Ramos provided encrypted cell phones to members of the Sinaloa Cartel. The cartel, based in Mexico, is an organization known for money laundering, drug trafficking, and other forms of organized crime. The FBI said that because of his connections, Ramos may have helped the Sinaloa Cartel in other ways. He may have helped the organization launder money through casinos in Vancouver. He also could have helped other organized crime syndicates, the agency claimed. Ramos enjoyed gambling and was a frequent high-rolling visitor to casinos in Canada and the United States. The FBI charged Ramos in March with RICO violations that govern the prosecution of organized crime. Ramos chose to plead guilty to those charges and will appear in court Dec. 19 for his sentence. Ramos also agreed to forfeit $80 million, as well as all his servers. He also forfeited 150 domain names as well. Under the terms of the plea agreement, Ramos admitted he knew he sold modified phones to the drug cartels. He also said he and some of his partner helped to distribute cocaine, heroin, and meth. They were sent to a variety of areas within the United States, Canada, Australia, Mexico, Thailand, and some European countries. Ramos admitted engaging in money laundering as well. He said his business worked on references only, and he would only take clients who came from a trusted contact. He operated largely through disguised or cryptocurrency to hide what he was doing. Under the terms of the plea agreement, Ramos had to tell everything he knew about those he worked with. They are still on the run. He faces up to 20 years in prison, although he may serve about half that, depending on his cooperation with the prosecution. Ramos is also eligible to transfer to another prison after he serves his first five years. There is the possibility that Ramos could serve the full 20 years in a federal prison.